Not far from where I work, and a place I pass by often is Anna's Italian Pizza. I had been meaning to try it forever, but it still a year and a half until my wife and I finally did. Walking into Anna's is like walking back in time 20 years or more, and not in a completely bad way. 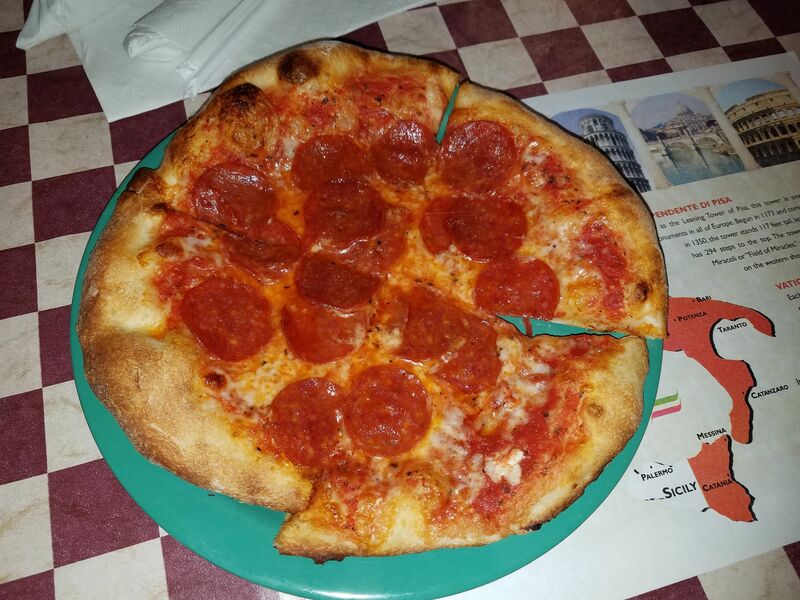 Their website (https://www.annasitalianva.com/) says they have been in business since 1970 and in this location since 1992. The staff was really friendly and the entire place was no frills, but again, in a totally ok way. I ordered my usual pepperoni and my wife got a white sauce pepperoni and tomato. The portions were good for the price and the food came out within a reasonable amount of time. So then, how did it taste? In short, it was really good, but not great. 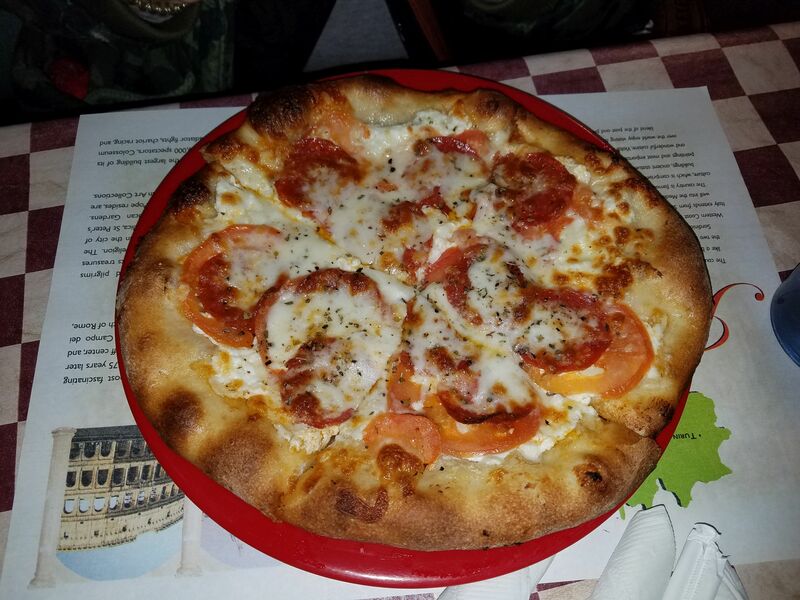 I am not sure how they cooked it, but it had that brick oven taste to it and the crust was just the right thickness and chewiness. It was a bit greasy and the construction left too much uncovered crust, but that just gave me some big breadsticks. I'll certainly go back at least one more time during my stay in Virginia, and because there is a big room with lots of moveable tables, I just might have my going away lunch here as well when it is time to go. Give this place a try - it is worth a shot!